Several years ago plug-in wax burners were all the rage. I had friends that sold them in catalogs and I ended up with a few burners and several scent bricks throughout that time. I loved that they are safer than open flame candles and the scent traveled much better throughout my home than a traditional candle. The scent choices seemed endless and they look pretty. Today, I have none left. I actually offered all I had from those wax burners and threw them up on our local buy/sell town page and sold it off cheap. Why? Since I have owned essential oil diffusers I never burn my wax pots anymore. 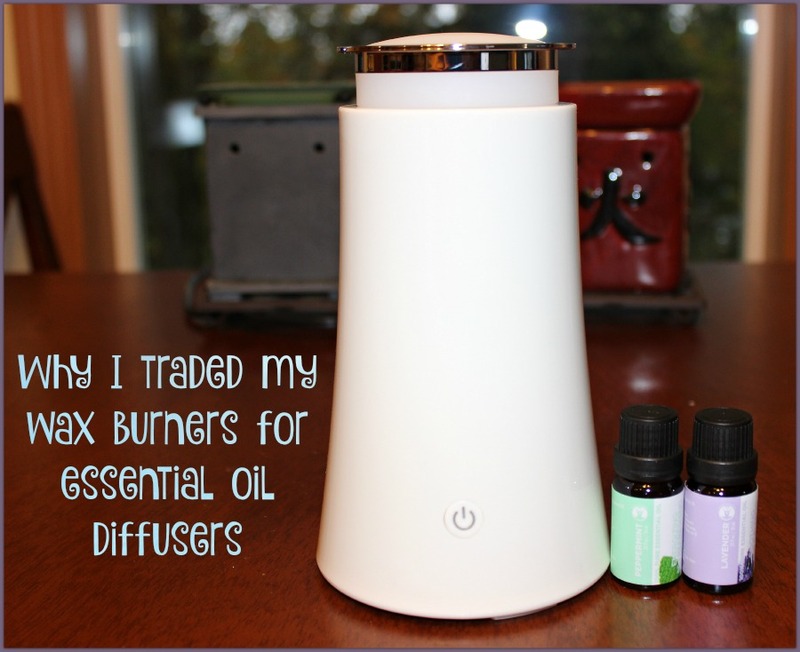 The diffusers have even more benefits as I release the best aromas in my home. You can select the best oils for your needs-anti-stress, anti-depressant, relaxation, etc..
You are able to place the diffusers in your home and office and choose oils that are right for the mood of that space. Set a diffuser in your room with relaxing oils or in your office for immune boosting oils. Make sure you choose oils that are only 100% natural such as the ones at GuruNanda. My latest and favorite diffuser is the GuruNanda diffuser. I love the design so I have this one in the main part of my home. It cycles through 3 colors and is silent. I simply pull off the top and pour some water in the unit, add a few drops of my favorite essential oils and turn it on. I press power once for a continuous flow of vapor or press it again for intermittent release. This diffuser comes with 2 oils-Lavender (soothing & calming) and Peppermint (Energizing and refreshing). GuruNanda aromatherapy oils are all natural and derived from original plant sources. This is important because in a diffuser, molecules are broken down and can be inhaled and absorbed in the skin so to use oils with unnatural ingredients can have some adverse side effects. You can find the GuruNanda Diffuser above in Walmart stores beginning November 2015.